Are you looking to sell your Jewelry in the Ontario area? If you have asked yourself the question “Where can I sell my jewelry that I no longer want?” the professionals at Central Mega Pawn have the answer. Now, not all jewelry is the same… Sometimes jewelry comes with a story that might not be exactly true, for instance your mother’s diamonds are actually zirconium and gold is actually plated. If you are going to sell, you want to be armed with the truth about your jewelry, especially the quality of your diamonds… Make sure you keep your friends here at Central Mega Pawn in mind! You don’t want to regret selling your Jewelry! Once you sell your jewelry be it a watch, bracelet, ring or what have you, they are usually gone for good. If you are thinking about selling something that has been in the family for generations and generations just to pay the bills, ask yourself: is there another way to get the money? Instead of selling perhaps getting a loan using the jewelry as collateral is a better bet and we offer some of the best rates and payouts on cash loans in Ontario. On the other hand, it is important to remember that diamonds and jewelry are material things, and that at the end of the day, piece of mind also has value. Depending on the circumstance, it may be a good idea to get rid of that old engagement ring or some piece of jewelry that has value but has fallen out of fashion or you simply don’t think you will ever wear it, then you may feel better at the end of the day knowing you got the value out of it to use for something you do need or want. 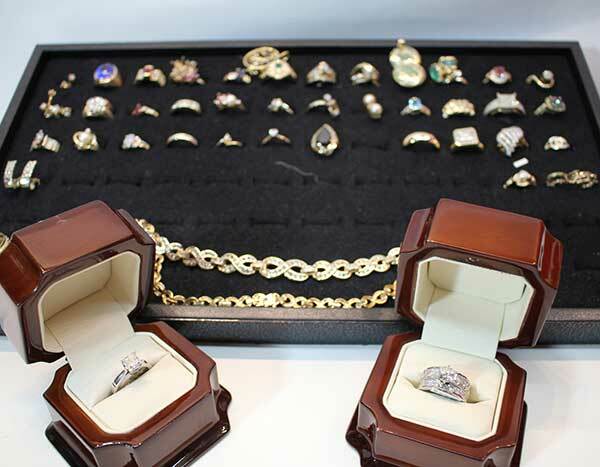 Whatever the case may be know that when it comes to selling your jewelry the professionals here at Central Mega Pawn are here to help.